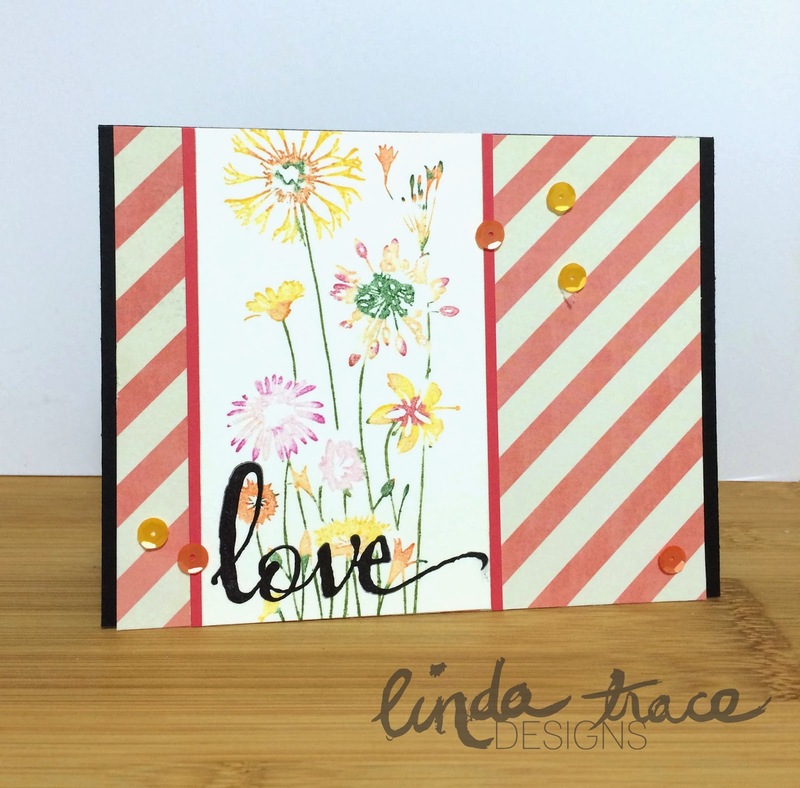 LINDA TRACE DESIGNS: Challenge Time at ABNH! It's challenge time over at ABNH and I'm here to share my card with you! We're challenging you to use your PATTERNED PAPERS!!! I used my memento markers to create the flower panel. I love this technique--do you have an old-favourite technique?? I'm always so happy with the interesting slightly uneven stamping you get with the Memento Markers. Love it. The rest of the card is pretty self explanatory I think! © LINDA TRACE DESIGNS: Challenge Time at ABNH!